KN scattering is formulated in three-dimensional (3D) momentum space. A direct product of the relative-momentum state and the spin state is used as the basis state. The spin quantization axis is chosen along the z-axis. The interaction for the KN system is assumed to take the Yukawa-type. It consists of two terms, the central and the spin-orbit one. Calculations for the cross section based on this technique are shown, as well as comparison with the standard partial-wave calculations. 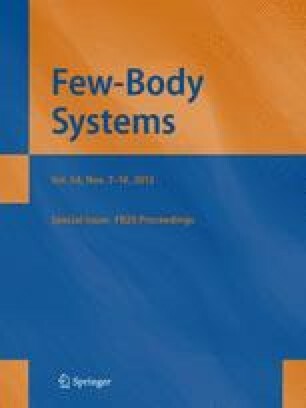 Presented at the 20th International IUPAP Conference on Few-Body Problems in Physics, 20–25 August, 2012, Fukuoka, Japan.